"In the shadows, the fuse is lit..."
We are from the underworld, the howl of individual expression apart from the mainstream, no matter its genre, using whatever means necessary, affordable, convenient or possible. Books are incendiary devices, messages in flaming bottles that ignite the soul, communicated in private, and their mercantile value has little to do with the echo in the canyon. MOLOTOV NEWSWIRE : After 58 Years, First U.S. Reviews of Cooper's THE SYNDICATE: read that story here. LOST CRIME CLASSIC, from a seminal writer in black crime fiction, first U. S. publication under Cooper's real name. 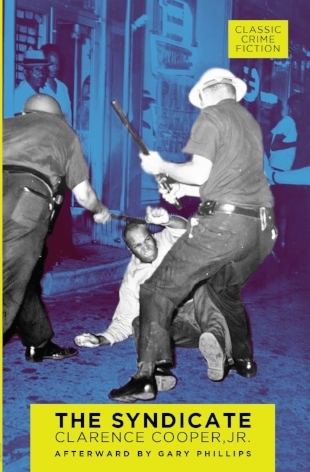 Afterward by Gary Phillips (The Obama Inheritance) with fresh biographical material on Cooper. Hard-hitting, relentless story plunging into the psycho-sexual depths of a ruthless enforcer sent to retrieve syndicate money. "The U. S. landscape as gangscape, littered with the twisted & damaged psyche of a game rigged to take out all its players. A perversely brilliant celebration of the long downhill slide." Peter Maravelis, City Lights. Editor of San Francisco Noir. 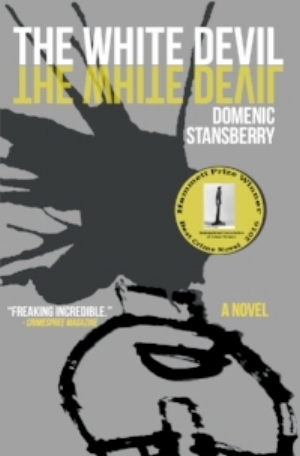 The White Devil Awarded Hammett Prize. AVAILABILITY: The first edition of the The Syndicate is available directly from our distributor, Itasca Books, by clicking here. Our other books are available through the links next to those titles. SIGN UP FOR OUR OCCASIONAL NEWSLETTER BELOW TO GET NEWS ON OUR LATEST RELEASES. 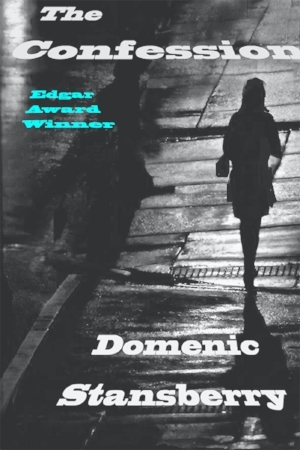 This neo-noir thriller stirred controversy when a dissenting judge on the Edgar Award Committee broke with tradition to condemn the selection of this "amoral" novel for Best Paperback Original. The novel tells the story of a forensic psychologist accused of strangling his mistress—and does so through the unnerving, charming, intelligent, often unreliable voice of the accused himself. Originally published in mass paper by Hard Case Crime, this e-book edition from Molotov Editions features a cover photo by Peter Rozovsky, author of the influential blog Detectives Beyond Borders. A blackly comic two-act play. Quickly paced, sharply written political theater blending comedy, horror, and social satire in the tradition of the Grand Guignol. Action commences in a local café in San Francisco—post-911, post-Guantanamo, post-Apocalypse—when an unnamed catastrophe leaves the surviving patrons immersed in the erie glow of a world gone wrong. DADA MANIFESTO, fresh translation/annihilation by Gillian Conoley, Shelley Memorial Award Winner, and author of PEACE, an LA Times Finalist for best book of poetry. LIMITED EDITION, 120 copies, signed and numbered, available through City Lights and Green Apple and by contacting us directly. Sign up for our newsletter more to learn more about our limited releases. Sign up for our newsletter (BELOW) to get advance notice on when and where this title will be available. Very Limited Hard Cover in addition to general release Trade Paper. Ebook and trade paper for 2018 summer release in English throughout the UK Commonwealth and Europe.